Today it’s us, tomorrow it’s you – Become an EBAA ambassador to One Young World 2019! We’re getting ready for One Young World 2019! Are you 30 or under, working for an EBAA member and ready to represent business aviation at a global forum for young leaders? 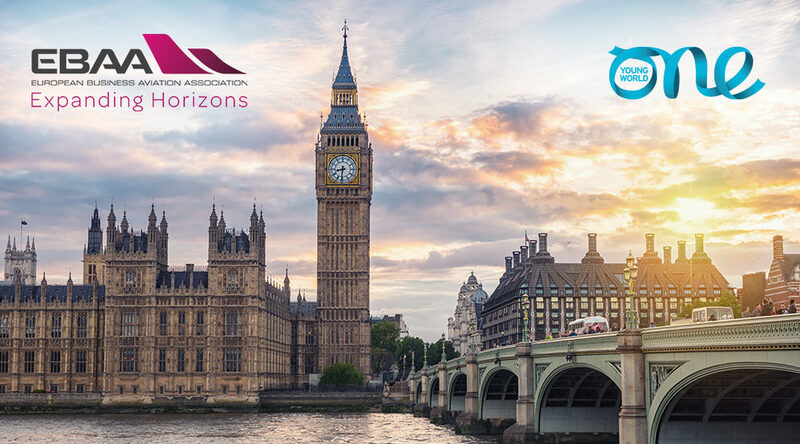 At One Young World 2019, you’ll travel to London with EBAA* to represent both the European Business Aviation industry and your company at a prominent global forum dedicated to young leaders, progressive industries and forward-thinking organisations from around the world! You’ll take part in dedicated workshops and social media activities, attend lectures and workshops, and learn from industry leaders about how the EBAA ambassadors can make a real change in business aviation and beyond. Ready to represent our industry in London this October? What does Business Aviation mean to you? In what ways do you think young professionals can impact the industry in both the short and long term? What lessons are you most interested in learning from young leaders from other countries and sectors? In addition, please provide the following information: Name; Company and Role; Email address; Work phone number; Mobile number. All entries should be submitted by 5 pm CET on 17 June to Stratcomm@ebaa.org. To qualify, your company must also endorse your submission by having a company representative sign your entry (providing their name, company role, email address and handwritten signature). *Please note, EBAA will cover the entry, meals and accommodation costs of selected ambassadors at the Summit. The ambassador – or ambassador’s company – will need to cover just their travel cost to and from London.